The Postie brought another package this time from Australia a EMD SD80MAC I have swopped the couplings to knuckle type from Rapido. I have to admit CONRAIL always makes me smile. Was it a REALLY good name for a railroad company? Like 'we rip you off'. Perhaps it's a bit like Conair. Does your model come complete with a 2mm Nicholas Cage saying "Put the Bunny down"? Anyway, corporate naming aside, at least Conrail successfully managed to sort out the appalling mess left by Penn Central. A fine model for a fine model railroad! Just a quick update, all the power feeds and point control cables have now been installed, now to convert the temporary connections to permanent , I will have to flip the baseboards over and get busy. 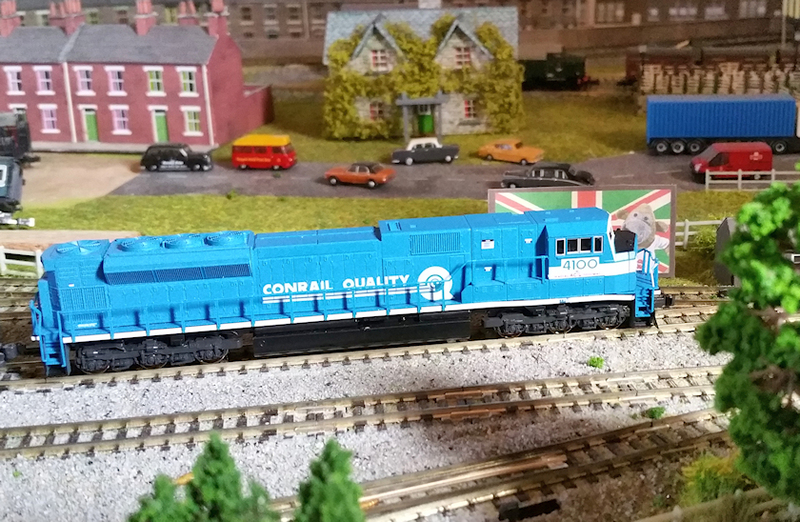 Ooh that Conrail beastie must be turning a few heads in the background! 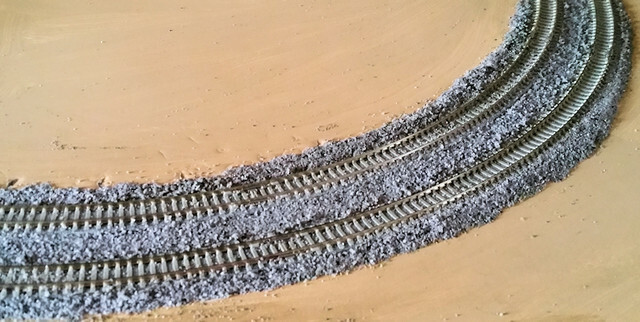 Having now completed, adding the power droppers and point control wires, fixing the track down with clear silicone, prior to flipping the boards over to tidy up the wiring I thought I would run a coal train around Toothill using the newly arrived Coalporters. 25 in total 16 UP, 2 Santa Fe,2 GBRX and 1 northern pacific. The wiring has now been completed, the points have now been programmed into my ECoS and the Mimic panel set up. 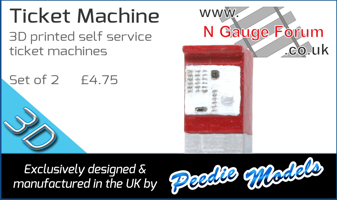 I can now start on my favourite part of railway modelling the scenery. I thought I would run a coal train around Toothill using the newly arrived Coalporters. After a busy weekend supplying Tea, Coffee, Cakes, Biscuits and Crisps to the public at Trainwest I was in desperate need of some watching trains go by. Working with 3mm foam board and Kato ballast Unitrack loses it's slightly toy like look. The latest additions to the fleet a DCC Sound UP Challenger and a UP Doodlebug, both great eBay bargains at £168 and £19 respectively. Anyhow they've gone to a good home!